This deluxe, quilted organic cotton and wool innerspring crib mattress provides a pure sleep environment for Baby from birth until it's time to change to a larger mattress. Built firm feeling with a 12.5 gauge tempered steel, 150-coil innerspring covered with organic cotton canvas, followed by layers of U.S-grown organic cotton batting covered with organic cotton canvas, then certified organic wool batting quilted between two layers of organic cotton canvas. No fire-retardant chemicals are used. 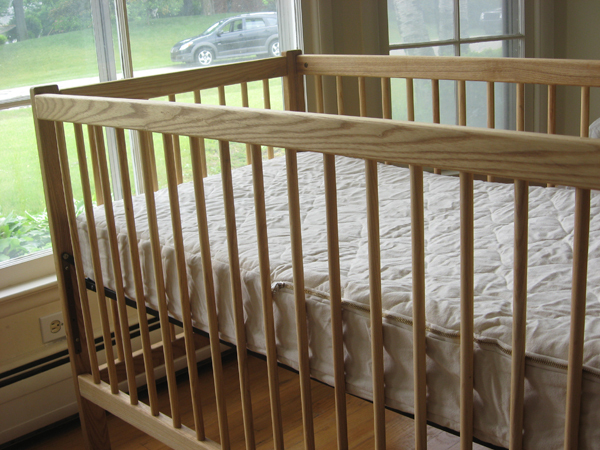 Side clips add support, an important feature if the mattress is used for toddlers. Size: 28"X52"X6". We recommend using a Green Dreams™ Organic Wool Puddle Pad to help protect your organic mattress from accidents. 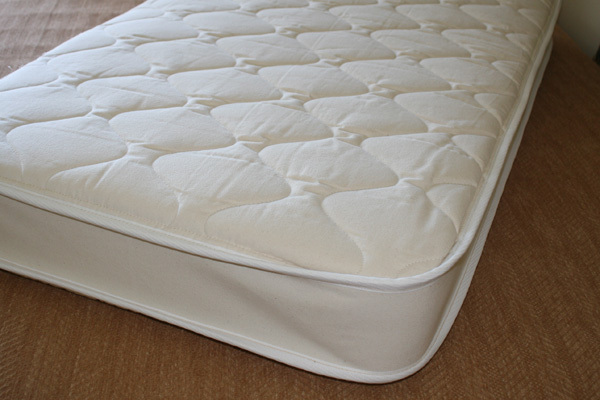 This deluxe, quilted crib mattress contains a 6" layer of firm Dunlop 100% natural latex inside of a casing. The casing is made from 100% organic cotton canvas with certified organic wool batting quilted inside and finished with a YKK brass zipper. Size: 6"DX28"WX52"L . The zipper allows the casing to be removed for periodic cleaning. Spot clean and drip dry as necessary. DO NOT hand or machine wash or dry in a machine dryer because the wool will shrink. 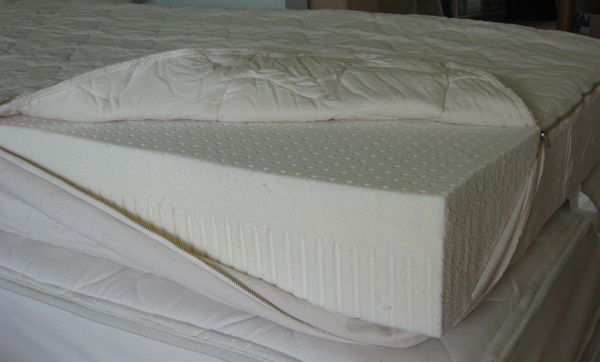 We recommend using a Green Dreams™ Organic Wool Puddle Pad to help protect your organic mattress from accidents.